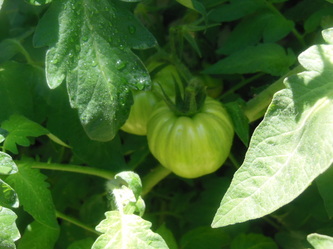 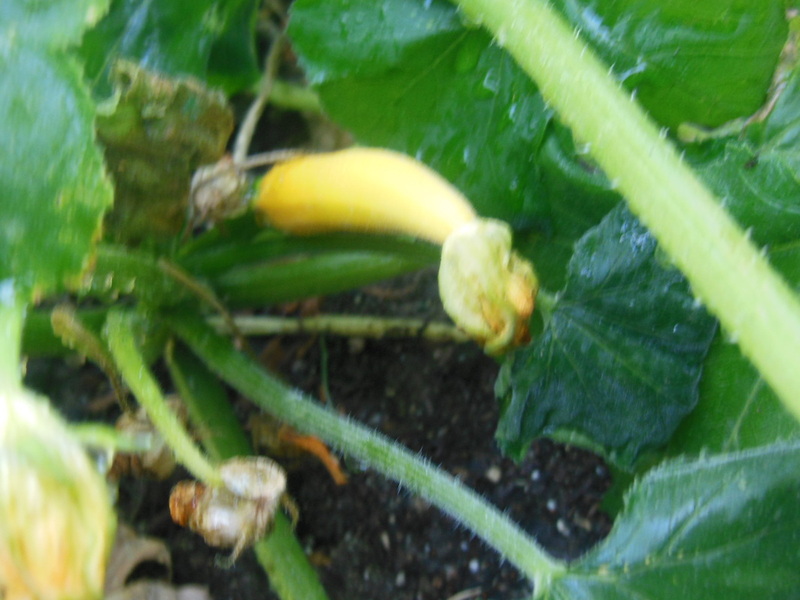 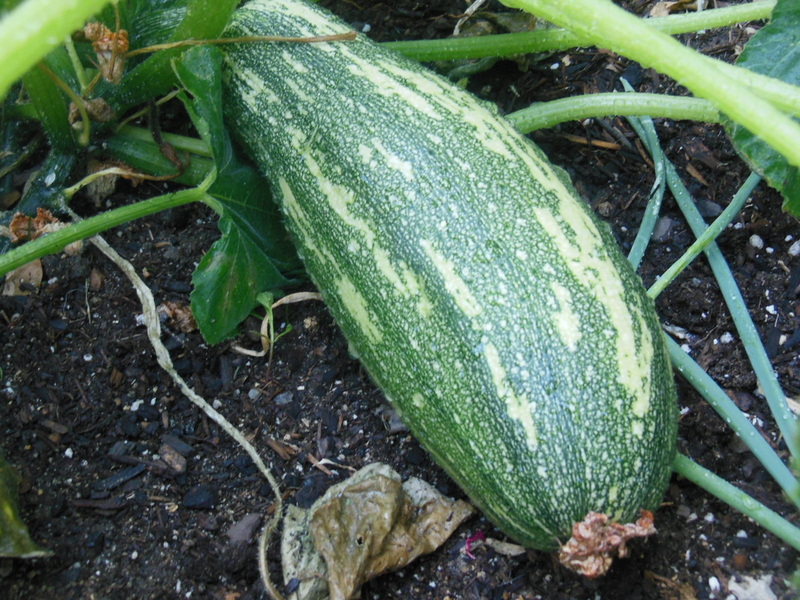 It is so FUN when you go out to your garden and you find the beautiful surprises of fresh squash, tomato and whatever it is that you have planted. 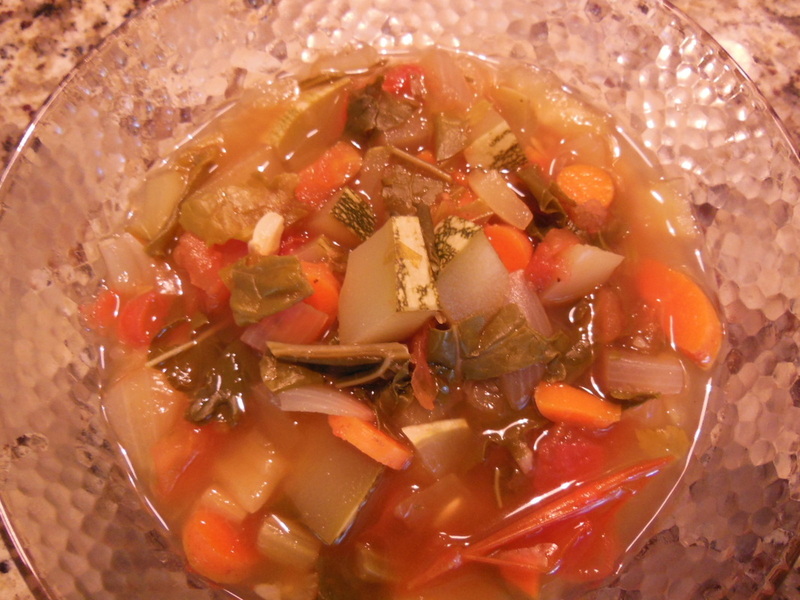 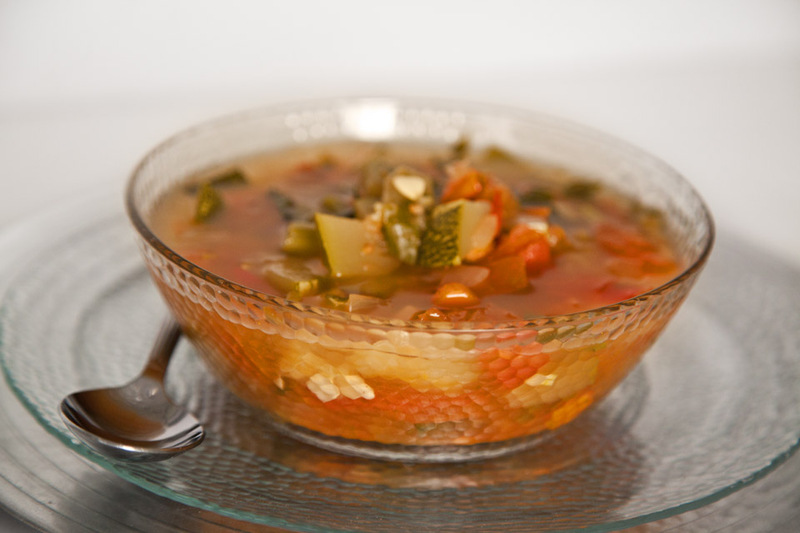 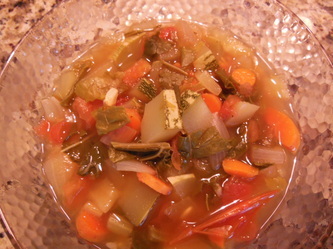 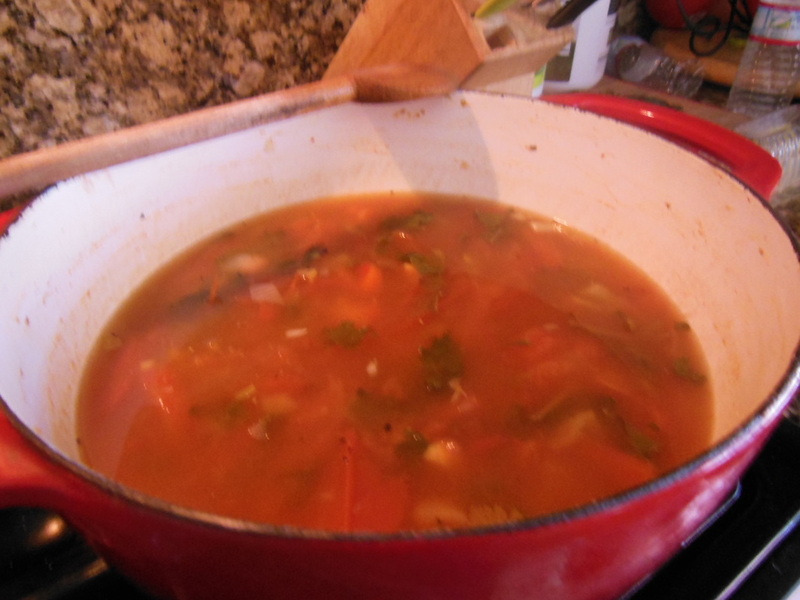 Today I went out to take a look and found a large beautiful zucchini squash and was inspired to make this soup. 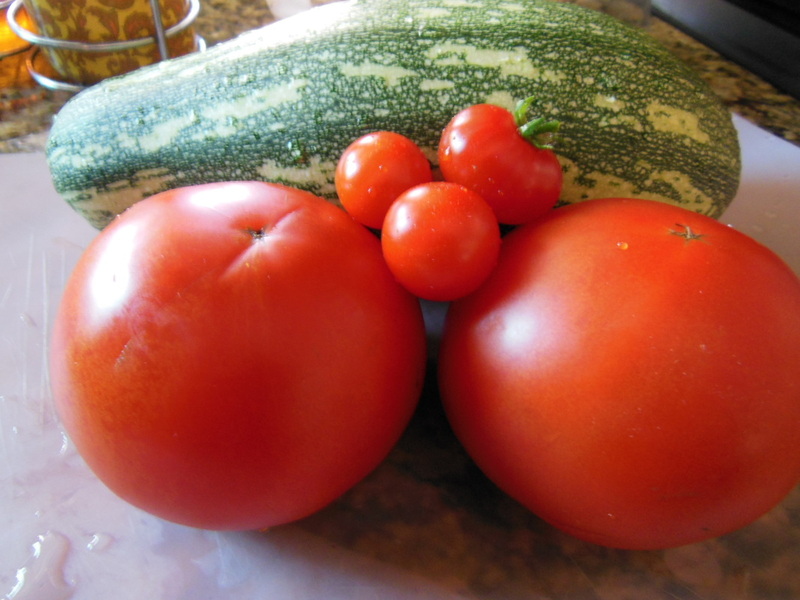 My garden is also loaded with tomatoes so in they went as well. I love it when I get inspired by nature and my garden! 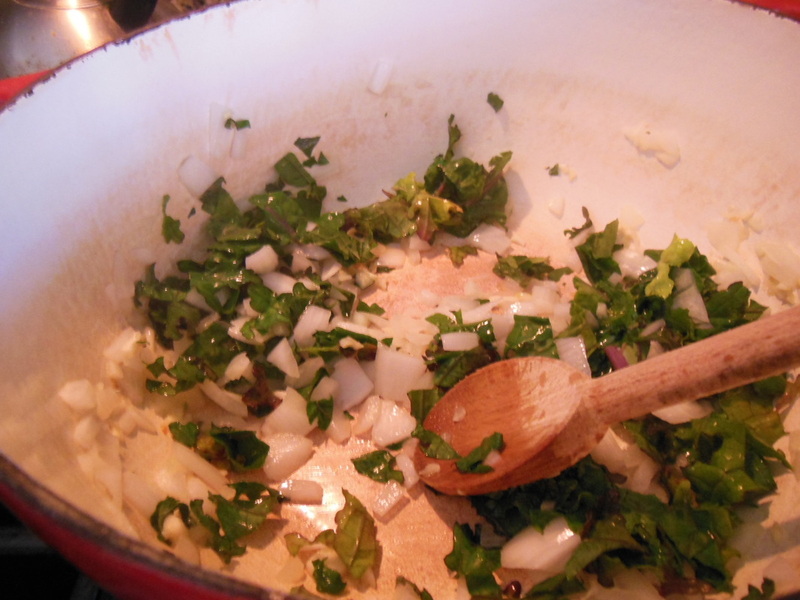 Saute onion, garlic and kale 5 minutes. 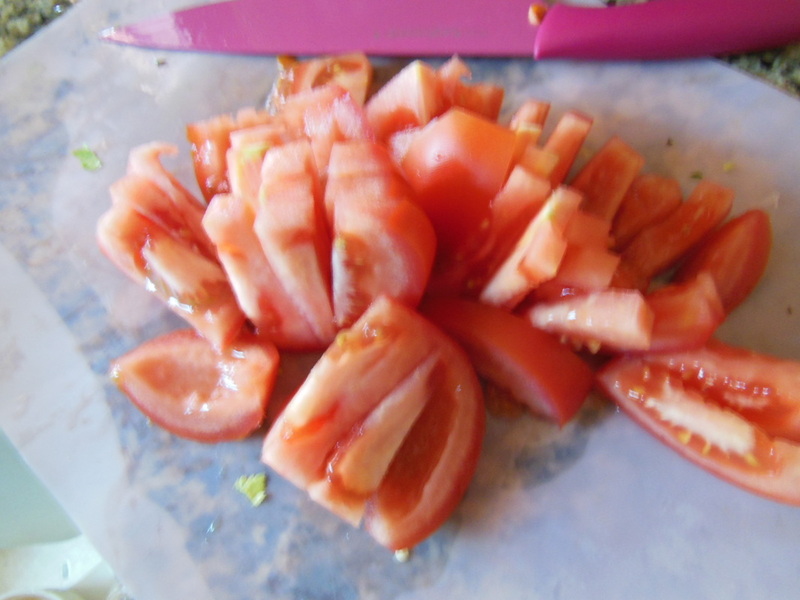 Add Celery, tomatoes, sage, salt/pepper and tomato. 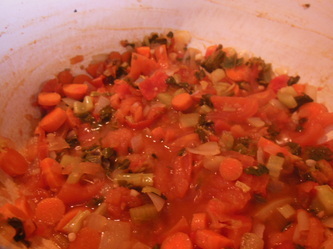 Cook 15-20 minutes until tomatoes are soft. 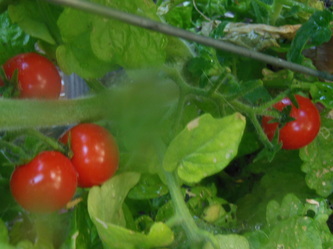 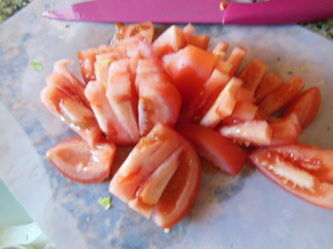 Break tomatoes apart with the back of your spoon. 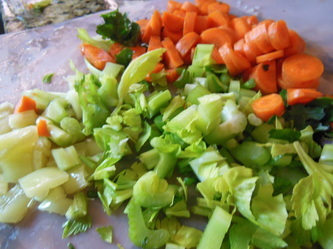 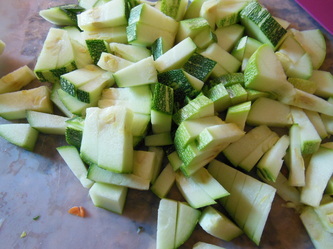 Add broth and zucchini and cook 5-8 minutes. The color of this soup is so beautiful because of all of the juices that have been released from your tomatoes. 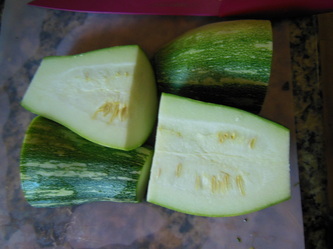 Quick, Simple, Healthy and Delicious- "I Found a Zucchini in My Garden Soup"